Reviews are the modern day word of mouth marketing. We live in a dynamic environment and it is obviously critical to asses and capture the importance and advantages of online reviews. However, as the market alters, so do different trends. With this in mind, we can see a clear differentiation between first party client reviews and third party online reviews. The difference between those is quite important. Let’s dig a little bit deeper. 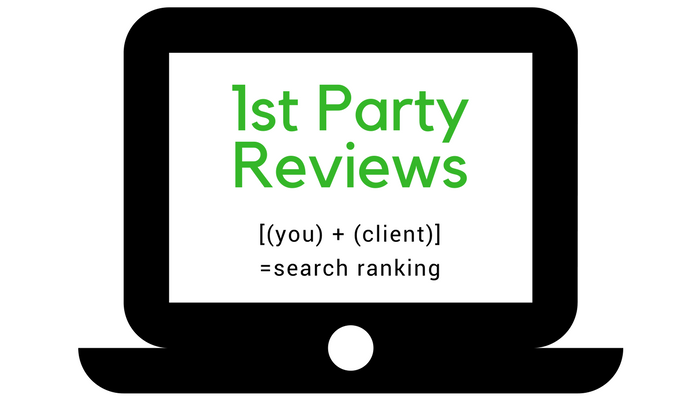 How do 1st Party and 3rd Party Reviews Compare? First party client reviews are also commonly referred to as in-house, self-generated reviews. For instance, if you run a car wash business and you have a website, the reviews generated on your website are the first party ones. Amazon is by far the largest example that we can give you – each product listed there has its own reviews. Third party reviews, on the other hand, are something completely different. In the context of the aforementioned example, if you have your car wash listed at some sort of business directory such as Yellow Pages, or Yelp, for example, the reviews which are left there are third-party reviews. This is the thing that you’d have to evaluate. Now, there is a serious discussion going on for quite some time and the answer isn’t as obvious as some people would like it to be. First party reviews are great. In theory, they are genuine and first-hand. They should attest to the quality of the product or service splendidly as they reflect the honest opinion of the customer. In reality, however, the wide majority of them are fake. There is no barrier to entry and unless you are given full contact information to attest to the review in person, there’s always a doubt. Third party reviews, on the other hand, are supposed to be verified by the platform. They are supposed to be genuine. The best thing about them is that the owner of the business doesn’t have access to those reviews – he can’t alter them. This is what needs to be accounted for as it would supposedly prevent any fabrication. As it is with 1st party reviews, however, the reality is different. A lot of the platforms would actually sell you reviews, jeopardizing the entire premise of trust. Reviews should be genuine. From a marketer’s perspective, you ought to make sure that the trust between sellers and buyers is absolutely unshakeable. If you are the business owner, it is your responsibility to make sure that the reviews about your services are genuine. As a buyer or a subscriber, you just have to make a thorough research. There is no one-off answer or a quick solution to the entire situation. You need to make sure that everything is properly accounted for. Reviews are powerful when they are honest. Whether they come from a third-party provider who has a solid verification process or from the business itself, it’s a matter of solid research. eEndorsements is a complete online reputation management platform for small business.